Start up a game of cards anytime and anywhere with this table topper. The Fat Cat Folding Blackjack / Poker Game Table Top offers the perfect playing surface for a game of poker or blackjack. 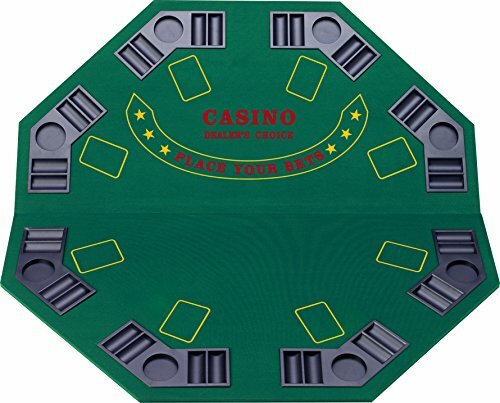 The table topper seats eight with built-in drink and poker chip holders. The eight spaces make it perfect for larger game nights. Additionally, the green felt surface adds a touch of class and professionalism to your poker night. The table also folds in half, making it easier to store when your game is over. This game table topper is the perfect addition to your poker set.